Our Jungle Safaris are of highest quality and are accompanied by a naturalist in open 4/4 Custom-made 6 seat Gypsies with canvas tops which are exclusively used in our camps. 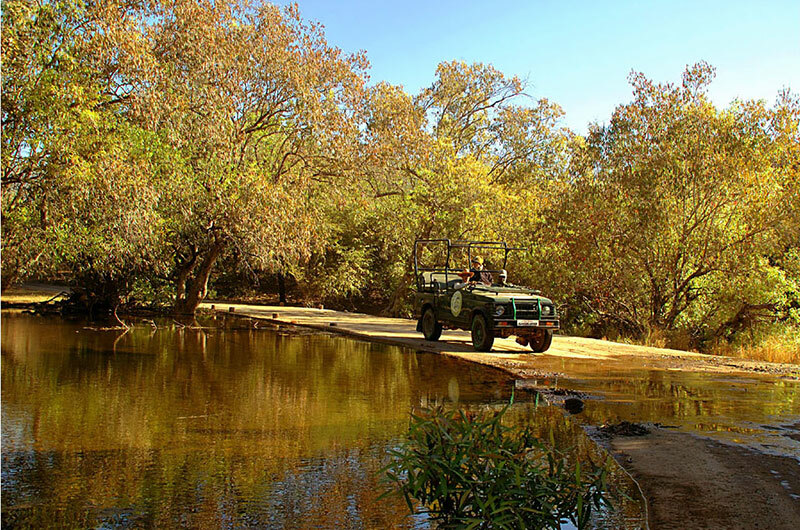 The Lion safari offers a fair cross-section of habitats and wildlife of Gir. Gir is the only place in the world outside Africa, where the Lion can be seen in its natural habitat. Due to the high density of lions, spotting is very good. Gir is also home to one of the largest Leopard populations in any park in India, making it an excellent place to see big cats of a different kind. 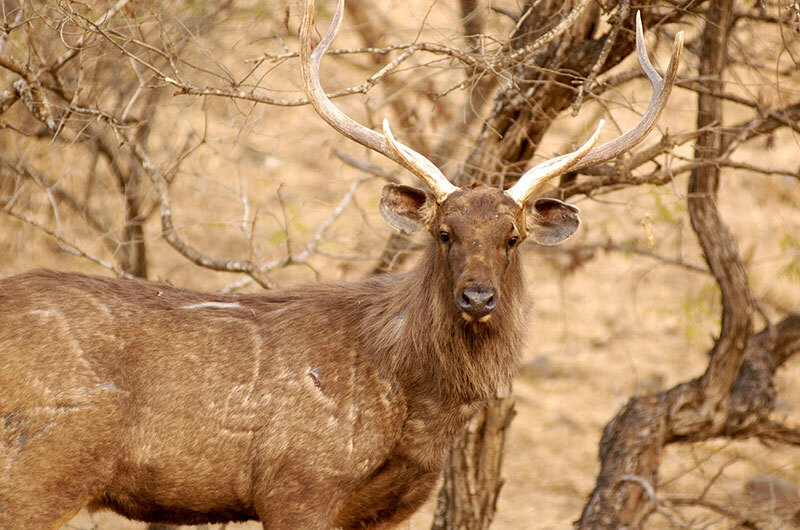 Other wildlife to look out for are the Four-Horned Antelope (the only four-horned ungulate in the world), Indian Gazelle (Chinkara), Spotted Deer (Chital), Blue Bull (Nilgai), Wild Boar, Wolf, Hyena, Jackal, Jungle Cat, Hare and other mammals found in the forest. The Kamleshwar dam in the middle of the sanctuary is home to a record population of marsh crocodiles. 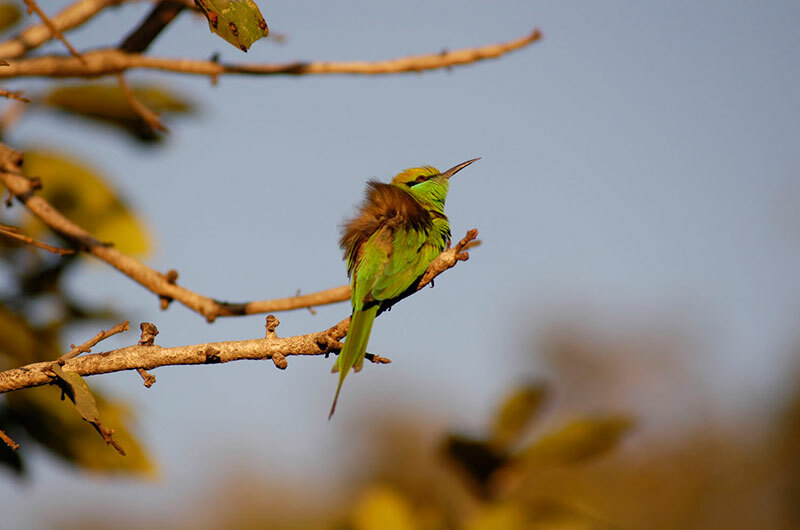 A Colourful array of birds can also be spotted. Some of the interesting birds are Paradise Flycatcher, Grey Drongo, Grey & Painted Francolin, Painted Sandgrouse, Bush Quail, Crested Hawk Eagle, Crested Serpent Eagle, Bonnelli's Eagle, Shikra Hawk, Sirkeer Cuckoo and White-necked Stork.